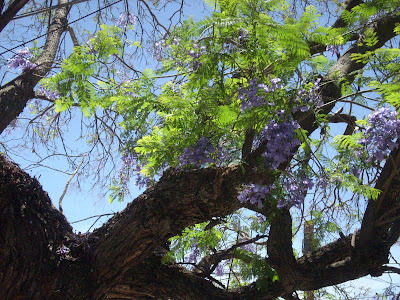 The jacaranda tree in the front of the house has past its peak blooming period. The blossoms that have fallen have been replaced with the leaves and seeds of the next phase of the tree's life cycle. This photograph is a zoomed in shot of our changing tree.